The used vehicle specials from Land Rover Wilmington let drivers enjoy a used Land Rover or used Range Rover vehicle at an approachable price. In addition, we stock non-Land Rover used cars Wilmington drivers can trust for years to come. Explore the following used car specials today. For more information please look at our Auto iPacket... it really has so much information on the exact equipment on the one you're looking at. Call or email us for any further questions about an unit.. Just give us the stock number when you call 🙂 610.436.0600.Bluetooth / Handsfree Calling, Rear-View Back Up Camera, Full Balance of Factory Warranty, Adaptive Xenon Headlamps w/LED Signature DRLs, Auto High Beam Assist (AHBA), Blind Spot Monitor w/Closing Vehicle Sensing, Climate Comfort Package, Heated Steering Wheel, Heated Windshield, Heated/Cooled Front & Heated Rear Seats, Navigation System, Surround Camera System, Vision Assist Package.CARFAX One-Owner. Clean CARFAX.Santorini Black Metallic 2018 Land Rover Discovery Sport HSE LuxuryFor more information please look at our Auto iPacket... it really has so much information or exactly the equipment on every car. Call or email us for any further questions about an unit.. Just give us the stock number when you call 🙂 610.436.0600. For more information please look at our Auto iPacket... it really has so much information on the exact equipment on the one you're looking at. Call or email us for any further questions about an unit.. Just give us the stock number when you call 🙂 610.436.0600.Bluetooth / Handsfree Calling, Adaptive Xenon Headlamps w/LED Signature DRLs, Auto High Beam Assist (AHBA), Automatic Emergency Braking (AEB), Blind Spot Monitor w/Closing Vehicle Sensing, Climate Comfort Package, Driver Assist Plus Package (InControl Touch), Heated Steering Wheel, Heated Windshield, Heated/Cooled Front & Heated Rear Seats, Lane Keep Assist w/Driver Condition Monitor, Navigation System (Touch), Surround Camera System, Traffic Sign Recognition, Vision Assist Package, Wheels: 19 5 Split Spoke (Style 521).Odometer is 2296 miles below market average!Clean CARFAX.Fuji White 2018 Land Rover Discovery Sport HSEFor more information please look at our Auto iPacket... it really has so much information or exactly the equipment on every car. Call or email us for any further questions about an unit.. Just give us the stock number when you call 🙂 610.436.0600. Fuji White 2018 Land Rover Discovery Sport SE with Cirrus/Lunar Grained Leather, 4WD, 9-Speed Automatic transmission, 2.0L I4 237 HP Turbocharged Engine.Additional equipment:Blind Spot Monitor with Closing Vehicle Sensing and Reverse Traffic DetectionNavigationPerforated Grained Leather SeatsCold Climate Pack:(includes Heated and cooled Front seats and Heated Rear seats, Heated Steering Wheel, Heated Windshield)This 2018 Fuji White Discovery Sport SE with Cirrus/Lunar Grained Leather Interior with Cirrus Headlining is now being offered for sale as a Land Rover Certified Pre-Owned Vehicle. For more information please look at our Auto iPacket... it really has so much information on the exact equipment on the one you're looking at. Call or email us for any further questions about an unit.. Just give us the stock number when you call 🙂 610.436.0600.Bluetooth / Handsfree Calling, Rear-View Back Up Camera, Blind Spot Monitor w/Closing Vehicle Sensing, Drive Package, Driver Condition Monitor, Illuminated entry, Memory seat, Power Adjustable Steering Column, Power Liftgate, Power Pro, Radio: Meridian Surround Sound System (825W), SiriusXM Satellite Radio & HD Radio, Traffic Sign Recognition & Adaptive Speed Limiter.Odometer is 1079 miles below market average!CARFAX One-Owner. Clean CARFAX.Corris Gray 2018 Land Rover Range Rover Velar P380 SFor more information please look at our Auto iPacket... it really has so much information or exactly the equipment on every car. Call or email us for any further questions about an unit.. Just give us the stock number when you call 🙂 610.436.0600. This car is an ex service loaner and is entitled to new car programs. For more information please look at our Auto iPacket... it really has so much information on the exact equipment on the one you're looking at. Call or email us for any further questions about an unit.. Just give us the stock number when you call 🙂 610.436.0600.Bluetooth / Handsfree Calling, Adaptive Xenon Headlights w/LED Signature, Auto High Beam Assist, Blind Spot Monitor w/Close Vehicle Sensing, Cold Climate Package, Emergency Braking, Front & Rear Parking Aids, Headlight Washers, Heated Front Seats, Heated Front Windshield, Heated Washer Jets, Navigation System, Reverse Traffic Detection, Vision Assist Package, Wheels: 18 6 Spoke (Style 6006).Odometer is 2487 miles below market average!Clean CARFAX.Fuji White 2018 Jaguar XE 25t PremiumFor more information please look at our Auto iPacket... it really has so much information or exactly the equipment on every car. Call or email us for any further questions about an unit.. Just give us the stock number when you call 🙂 610.436.0600. For more information please look at our Auto iPacket... it really has so much information on the exact equipment on the one you're looking at. Call or email us for any further questions about an unit.. Just give us the stock number when you call 🙂 610.436.0600.Bluetooth / Handsfree Calling, Adaptive Xenon Headlights w/LED Signature, Auto High Beam Assist, Blind Spot Monitor w/Close Vehicle Sensing, Emergency Braking, Front & Rear Parking Aids, Headlight Washers, Navigation System, Reverse Traffic Detection, Vision Assist Package.Odometer is 2150 miles below market average!Clean CARFAX.Santorini Black 2018 Jaguar XE 25t PrestigeFor more information please look at our Auto iPacket... it really has so much information or exactly the equipment on every car. Call or email us for any further questions about an unit.. Just give us the stock number when you call 🙂 610.436.0600. For more information please look at our Auto iPacket... it really has so much information on the exact equipment on the one you're looking at. Call or email us for any further questions about an unit.. Just give us the stock number when you call 🙂 610.436.0600.Bluetooth / Handsfree Calling, Adaptive Xenon Headlights w/LED Signature, Auto High Beam Assist, Blind Spot Monitor w/Close Vehicle Sensing, Emergency Braking, Front & Rear Parking Aids, Headlight Washers, Navigation System, Reverse Traffic Detection, SiriusXM Satellite Radio, Vision Assist Package.Odometer is 1301 miles below market average!Clean CARFAX.Santorini Black 2018 Jaguar XE 25t PrestigeFor more information please look at our Auto iPacket... it really has so much information or exactly the equipment on every car. Call or email us for any further questions about an unit.. Just give us the stock number when you call 🙂 610.436.0600. For more information please look at our Auto iPacket... it really has so much information on the exact equipment on the one you're looking at. Call or email us for any further questions about an unit.. Just give us the stock number when you call 🙂 610.436.0600.Bluetooth / Handsfree Calling.Odometer is 4165 miles below market average!Clean CARFAX.Gray Metallic 2019 Jaguar F-PACE 25t PrestigeFor more information please look at our Auto iPacket... it really has so much information or exactly the equipment on every car. Call or email us for any further questions about an unit.. Just give us the stock number when you call 🙂 610.436.0600. For more information please look at our Auto iPacket... it really has so much information on the exact equipment on the one you're looking at. Call or email us for any further questions about an unit.. Just give us the stock number when you call 🙂 610.436.0600.Bluetooth / Handsfree Calling, 360 Parking Aid, Adaptive Cruise Control w/Steering Assist, Blind Spot Assist, CD/DVD Player, Comfort & Convenience Package, Cooled Front Seats & Heated Rear Seats, Driver Assist Package, Electrically Reclining Rear Seats, High-Speed Emergency Braking, Interactive Driver Display, Park Assist, Powered Gesture Tailgate, Radio: Meridian 825W Surround Sound System, Rear Seat Remote Release Levers, Rear Traffic Monitor, SiriusXM Satellite Radio, Surround Camera System, Technology Package, Wheels: 20 5 Split-Spoke (Style 5036).Clean CARFAX.Fuji White 2019 Jaguar F-PACE 25t R-SportFor more information please look at our Auto iPacket... it really has so much information or exactly the equipment on every car. Call or email us for any further questions about an unit.. Just give us the stock number when you call 🙂 610.436.0600. Why Buy a Used Car at Land Rover Wilmington Near Newark? 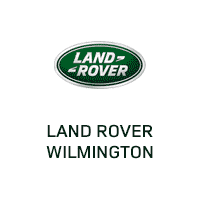 Whether you’re looking for a used luxury SUV or want to maintain your used vehicle, Land Rover Wilmington can help. Our used car specials ensure you save money on your next model, and our service team has years of experience helping Land Rover vehicles stay on the road. Find out why used Range Rovers are such a popular option, then explore our inventory of Certified Pre-Owned Land Rover SUVs. The Land Rover Approved CPO program balances the reliability of a new Land Rover model with the low price of a pre-owned Land Rover.